ABOUT JOHN IAMS M.A., P.T. Born and raised in San Diego, California, John Iams left his home town to enter the Physical Therapy Program at the University of California School of Medicine in San Francisco. Upon graduation with a bachelor of Physical Therapy, Iams married his sweetheart, Vonnie Hardesty, and accepted a commission as an ensign in the U.S. Navy, where he served three years as a physical therapist during the Vietnam War. Iams completed his tour of duty as the Chief Physical Therapist at Corpus Christi Naval Air Station Hospital, and returned to Southern California to continue his education at the University of Southern California (USC) School of Medicine; there he completed a Master’s Degree in Physical Therapy. While at USC, John was fortunate to work directly with Jacqueline Perry, M.D., as her teaching assistant. Iams was invited to attend the surgical anatomy lectures for the medical orthopedic residents at Rancho Los Amigos, where Dr. Perry’s work in musculoskeletal rehabilitation has become renowned. Iams’ interest in anatomy grew as he continued to attend advanced anatomy and neuro-anatomy courses at the USC School of Medicine. Iams left USC qualified to teach anatomy and neuro-anatomy courses at the college level. He returned to San Diego to direct the Physical Therapy Assistant Program at San Diego City College. After three years as director, Iams desired to return to patient care, and founded the Physical Therapy Institute, Inc., in Poway, California. 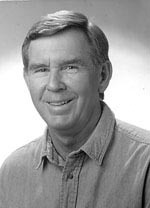 There Iams ran a successful private practice until 2005, when he retired from full-time patient care to concentrate on SuperSpine, Inc., his inventions, and his innovative pain-release techniques. As an inventor of pain-relief products, John has created dozens of innovative devices and therapies. He holds one-half dozen patents, including the Pivotal Therapy System which has been marketed worldwide for two decades. Iams now divides his time between lecturing, researching, writing, and mentoring instructors for PRRT Seminars. His life work and passion is developing and advancing methods to ease the pain and suffering of mankind. John Iams’ 2500 sq. ft. library/multimedia/seminar center has become legendary. It may be the largest private library of medical resources in the world. John continues to treat private patients in his center, patients who come from all over for consultations, including high-profile athletes and health-care professionals. Get the PRRT™ Home Study Course!